Urban Farming reduces transportation, packaging, spoilage, pollution, water, soil erosion usage and contamination. It also reduces or eliminates the use of chemical fertilizers and preservatives. Urban Farming has many key benefits: higher food quality, a sustainable local economy, job opportunities, increased food security, more control of food production, creating more sustainable cities, community building and economic diversification. 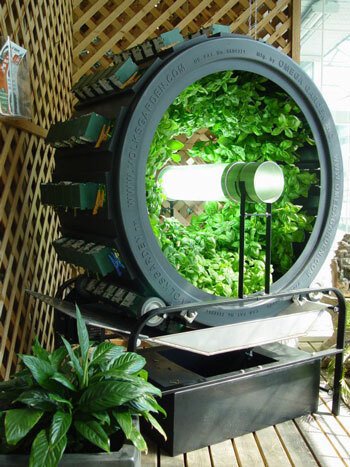 Now a new approach to farming has been invented by Omega Garden Int. that will provide vertical integration of efficient farming right in the heart of the cities; solving age old urban problems, increasing and developing vibrant, sustainable communities for the future of humanity. Solid 14 year reputation in the industry for excellent customer service, and safe reliable products. Urban renewal and sustainable community building. Unprecedented energy savings and cost effective operation. Fully automated and easy to operate. Volksgarden’s are durable with sturdy construction.